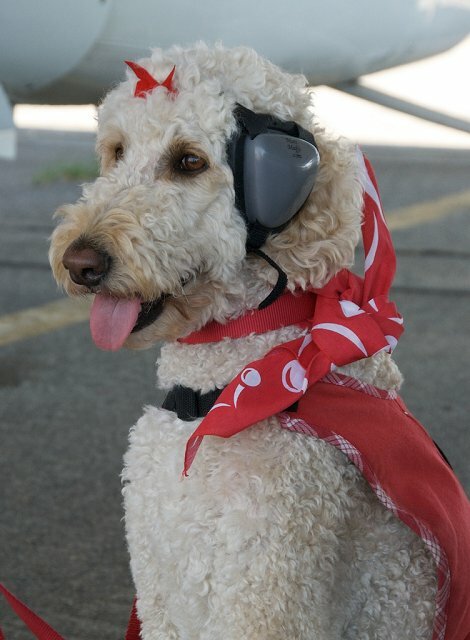 Star is a 3 year old - Hawaii Fi-Do Hearing Service Dog who travels with me wearing her "Mutt Muffs." 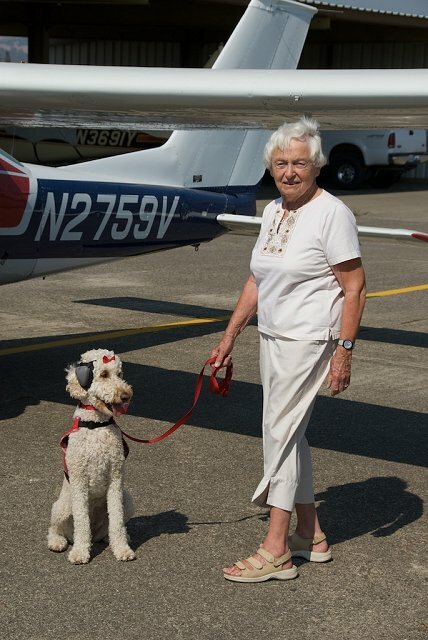 She flys back and forth from Hawaii to California twice a year, and in these pictures is ready to fly with me up to Lake Tahoe from Santa Rosa, CA in the family Cessna Cardinal piloted by my 21 year old grandson, Bryan, now in his senior year at Embry-Riddle University. Star loves flying...mostly she sits up proudly and quietly the whole way wearing her Mutt-Muffs and watching the scenery. 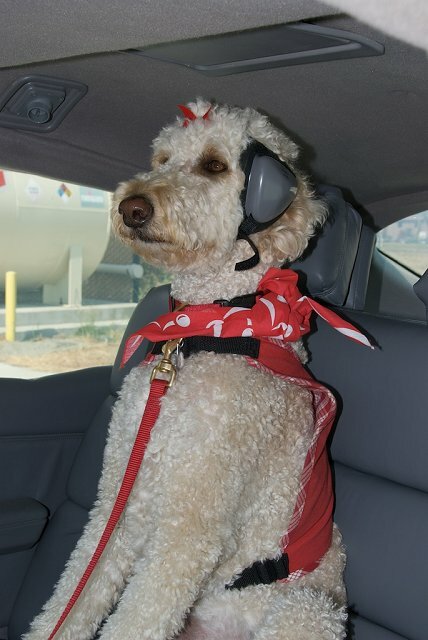 As a sensitive well-trained hearing dog we think she enjoys the quiet reprieve that her Mutt-Muffs guarantee.